Soak understand how important your most cherished garments and crafted creations are to you. Subsequently, they have created a product that’s designed to effectively clean, revitalize and protect your favourite items. 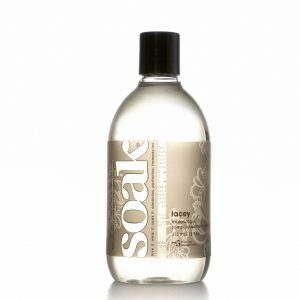 Designed and made in Canada, this eco-friendly, rinse-free wash cleans beautifully, and is ideal for hand washing. Show your laundry (and the planet) some love, with Soak.